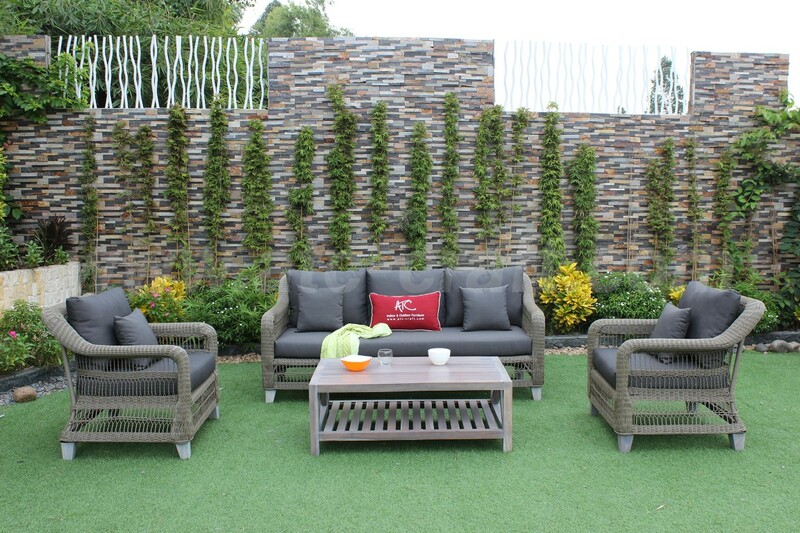 A resemblance of the famous Rasf-121 set but with a little bit twist to it, this Space Saving Exterior Poly Wicker Sofa Set Rasf-121 Style 3 is a life saver for any host desire to upgrade their narrow garden area or tight proof top. 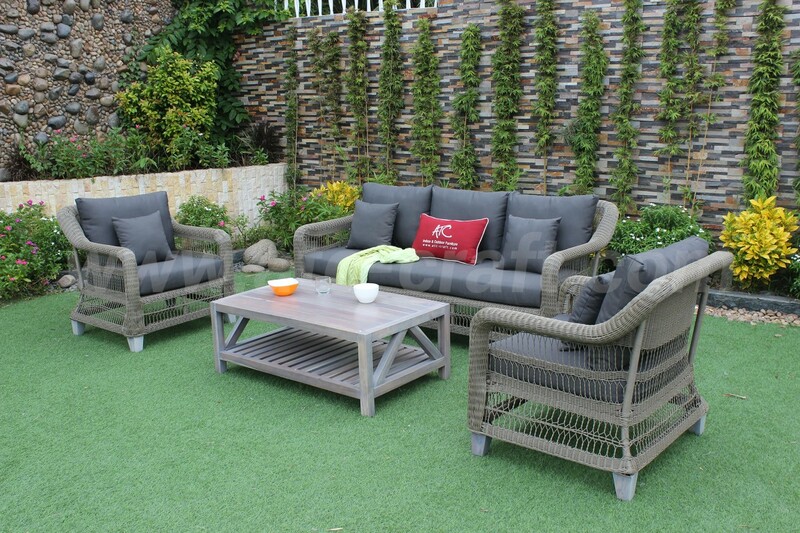 This four piece patio furniture is set with a darker tone, create a modern and stylish feeling to your home. 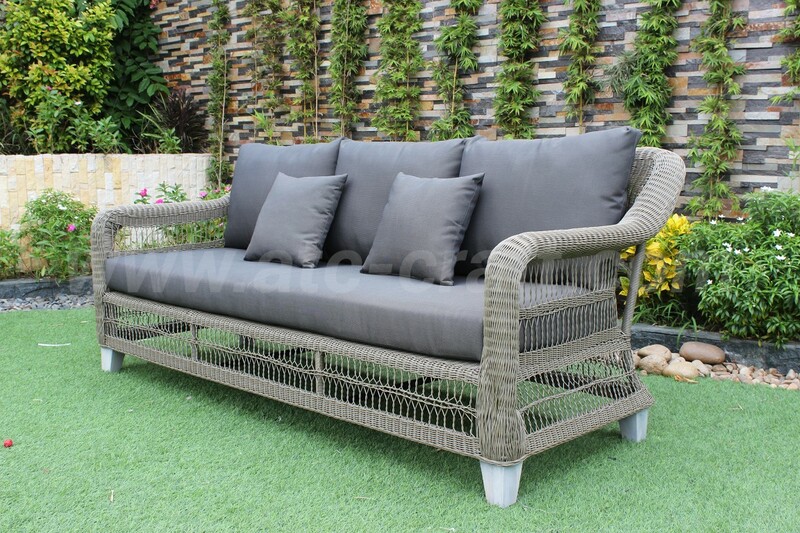 Furthermore, the three persons sofa and the two arm chairs are comprised with inner powder coated aluminum frame, a far more malleable and elastic material than steel, supported with four perfectly balanced specialized Acacia wooden legs, verified to be non-rotten overtime. 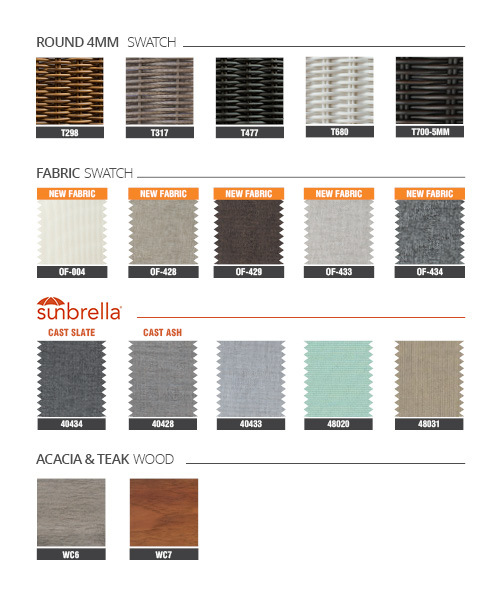 And outer HDPE round resin rattan wicker, capable to withstand water and direct UV ray from the sun. But what really make the difference between the two Rasf-121, is at the back of each sofa is woven with half full style instead of separate straight lines to give a firmer feeling when lean on. 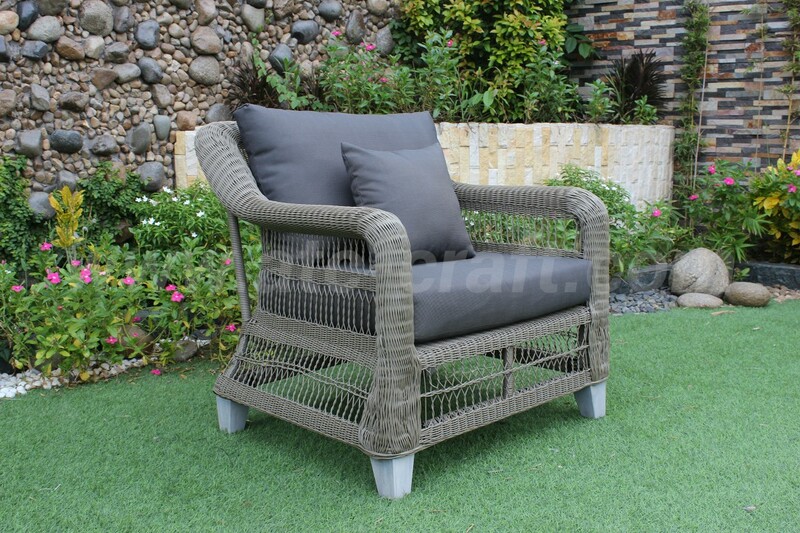 For more comfortable sensation, they are equipped with standard ATC Wicker Furniture’s all-weather resistant 10 cm thickness cushions easy to clean and no fading. 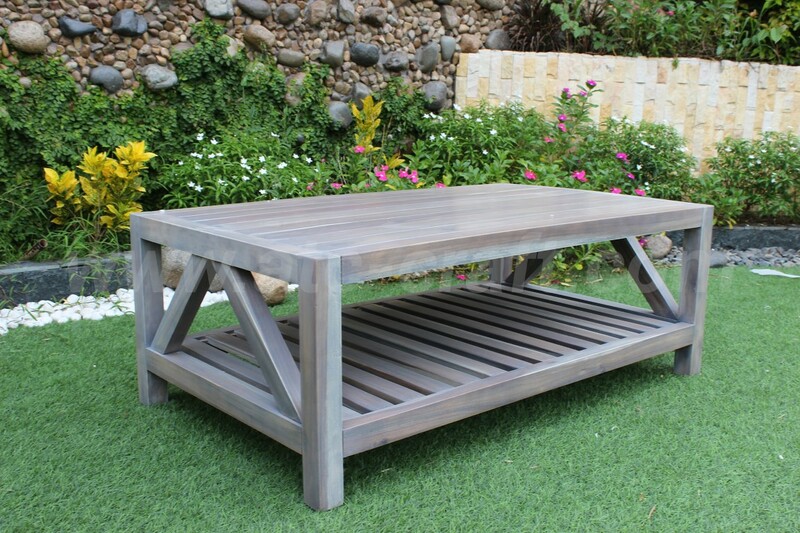 Finally, is the two floors rectangle specialized outdoor acacia wooden coffee table to complete the set.